Apex was founded on the idea that we could find a better way. We always push the limits of what's possible and we found a better way; we call it Apex. Why do we use our own proprietary blend of resin on the Insignia? The short answer is because our blend, Criterion Resin, is strong stuff that's easy on the environment. A triple-paned, gas-filled spacer system allows for total comfort in the hottest of summers and the coldest of winters. It's impervious to the elements, and high heating and cooling costs. 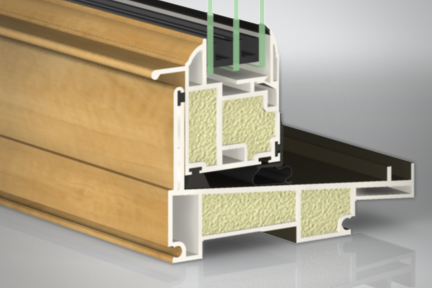 The best materials forged into single-extruded sashes provides a sturdier window more capable of resisting the elements and a tighter structure that prohibits air leakage resulting in lower energy costs. Progress through idea, revision and perfection. Why do we use our own proprietary blend of resin on the Insignia window? The short answer is because our blend, Criterion Resin, is strong stuff that's easy on the environment. Any structure is weakest at its joints – at those places where two pieces are joined together. That's a simple rule of mechanics. So, how do you get around that problem? You eliminate them. Touch our windows on a cold day and you'll feel... fine. That's becuase bitter winds and scorching rays are blocked by three layers of glass and insulating gas chambers. The Insignia video trailer is currently in production. We've spent years in research and development to incorporate only the most efficient, progressive materials and paired them with the latest in window design and manufacturing. We're proud to present our new masterpiece, Insignia. We've had the priveledge of installing the Insignia on a few projects already. These homeowners are already seeing a signifcant reduction in their heating and cooling costs. Not to mention the improved aesthetic to the home. 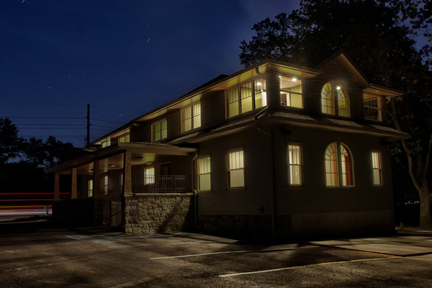 You may qualify for one our Promotional Home or Thermal Imaging Programs! 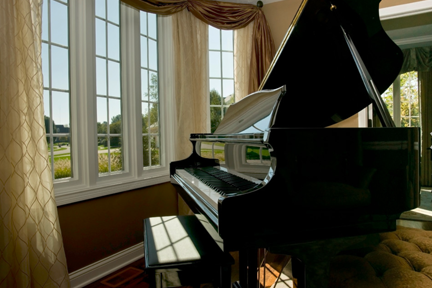 Have you ever thought about replacing your windows? If so, you don't want to miss this opportunity. Because we forego traditional advertising expenses, we're able to pass the cost savings directly to you. Copyright © 2013 Apex Energy Solutions. All rights reserved.